My little boy LOVES him some Cars :) So much so, in fact, that he has given us each Cars nicknames. 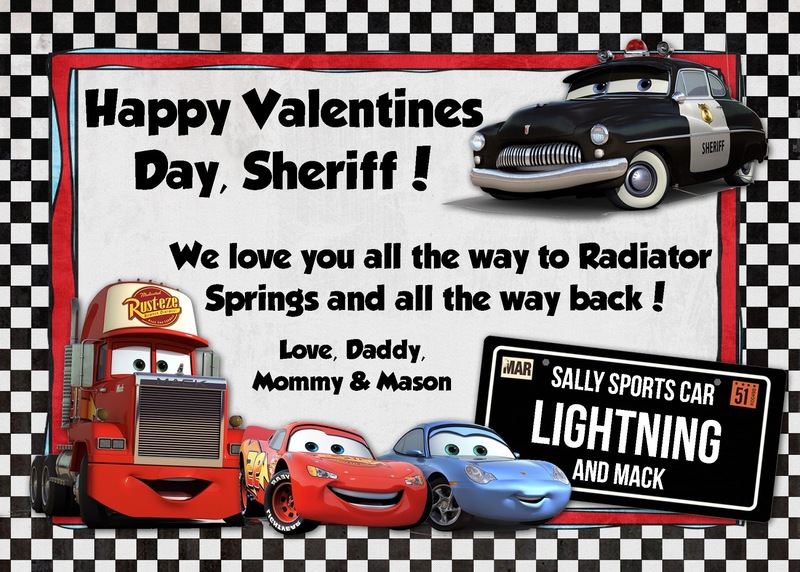 He's "The Sheriff", Daddy is Mac, Mason is Lightning and I'm Sally Sportscar. This love for Cars spurred this fun Valentines card I designed just for him.